These symptoms are often the expression of a poor metabolic position of the animal and often influence by an optimization of the feeding positively. A well-balanced basic diet, provided with sufficient nutrients and vital substances, is self-evident. 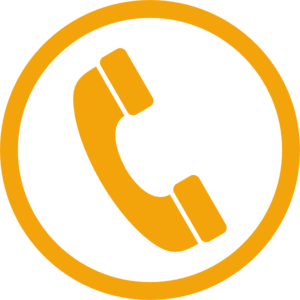 However, the desired success is achieved only by the combination with a selected food supplement. HORSEMIX50 is a 100% natural product composed of 50 different plant extracts, seeds, minerals, trace elements and vitamins! This mixture makes it possible for the body to absorb on the one hand all the nutrients contained in the feed and, on the other hand, to separate metabolic end products and slag substances. The catalyzing effect accelerates and regulates the organ systems and ensures their optimal function. If the metabolism optimally works, all organs perform their ideal performance: blood circulation, nutrient transport, digestive system, tendons and ligaments, musculature, kidney and liver activity as well as skin and skin metabolism are stimulated and improved. Even the production of hormones is supported, so that even in case of fertility disorders significant success can be recorded. Because the various ingredients of the herbal mixture independently stimulate all organ functions, there is an improved supply of nutrients. At the same time, slag materials and other metabolic end products are increasingly excreted, among others Are responsible for skin impurities and resulting skin problems. The hair care becomes full and shiny, bald spots disappear, and eczema heals better. The improved circulation leads to a firm, firm musculature and strong tendons and ligaments. Also the horn quality improves visibly, cracked and brittle hooves grow firmly but elastically. 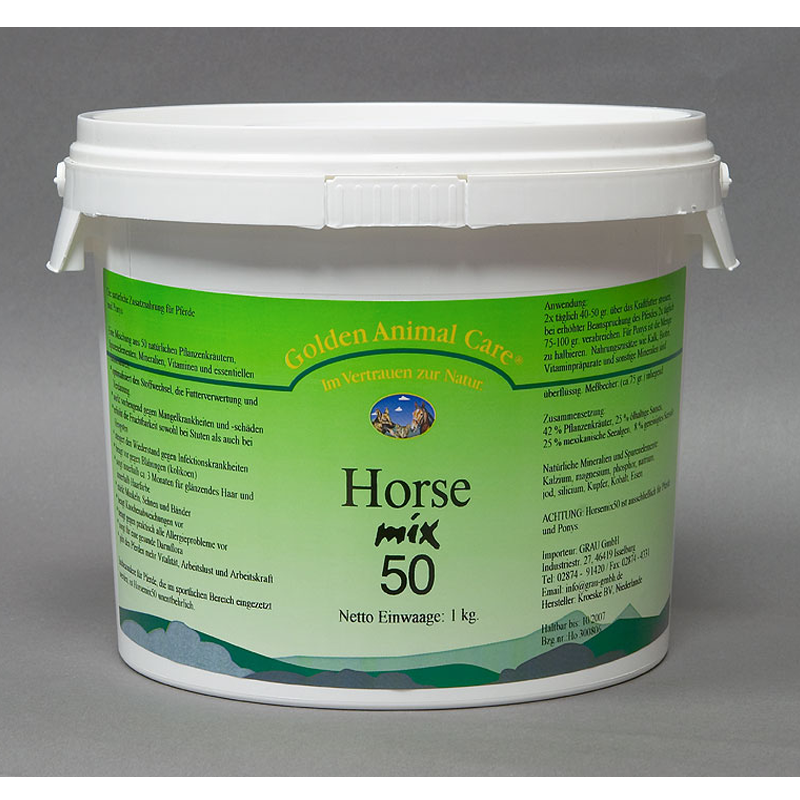 HORSEMIX50 is suitable for horses and ponies in every life phase. Begin the feeding slowly increasing with small amounts. Mix the powder under the daily food. 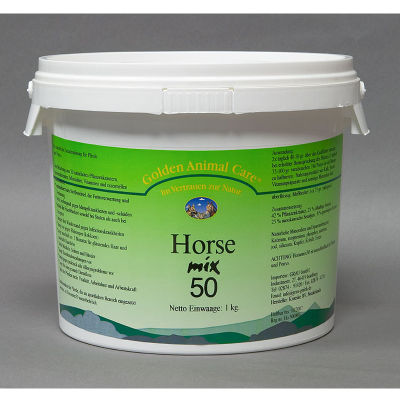 Note: HORSEMIX50 is only suitable for horses and ponies, other specific herbal mixtures are available for other animal species.